Well my Tudor 94110 is back from its spa treatment in Rolex Service Center. Let me tell you that it did get a spa treatment. I was surprised as to the amount of work done on the watch and I have to say that I am pretty happy with the work done by RSC. I am not the original owner of the watch having purchased it pre-loved. 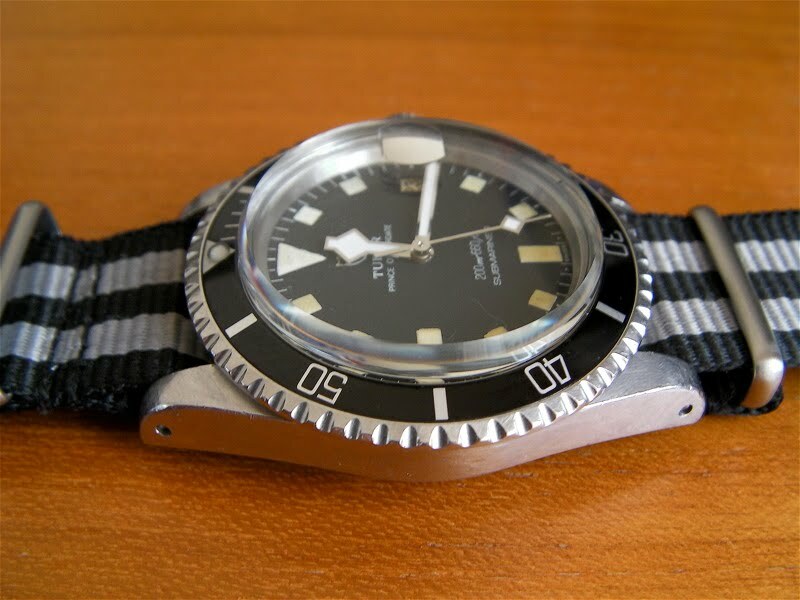 But between the former owner and myself, a lot has been done to the watch. What was done you ask. Well here is the list of items that had been changed since January 2010. Items changed by the former owner. The former owner requested these items changed but did not ask for the watch to be serviced. The hands as the old hands had cracked and missing luminous material. Items changed in this service. The winding rotor (due corrosion). The 'rehaut', the metal piece between the crystal and the dial. The hack mechanism (balance stop lever). The barrel (yes the barrel and the spring inside). and finally the barrel bridge. The only thing not done, the case is not polished and was told by the former owner it has never been polished. 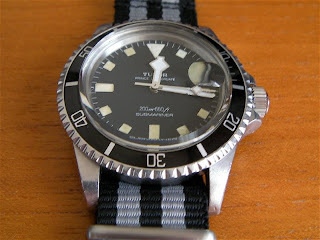 The dial is on order, but RSC cannot confirm if it is available or not. Now that is plenty items changed. RSC said it is better to change the parts now, while it is still in stock. The best part about the watch is that it is powered by the ETA 2783 instead of the ETA 2784. 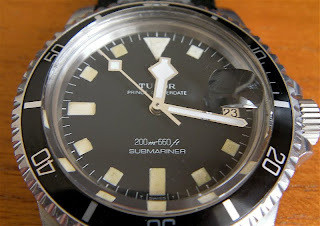 RSC told me that the movement is correct as the ETA 2783 was used in the Tudor 9411, 9411/0 and 94110 as is the ETA 2784. The major difference, the ETA 2783 beats at 21,600A/h while the 2784 beats at 28,800A/h. Anyway as I usually do, I stop by my friendly neighbourhood watch guy and timed the watch. It is currently running -2 seconds a day. 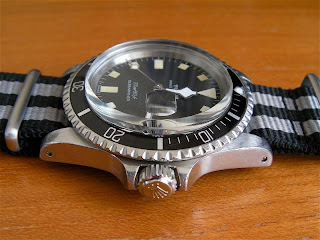 I hope RSC can get the new dial so that the hands and the markers will look the same. Sounds like they did a LOT of work on it. My Snowflake is missing the bezel and insert so do you reckon they could help me out? Welcome to the blog. With regards to your question, I am sure your local RSC can help you get the parts you need. Just bring the watch to them and they will do the rest. That's a great looking watch. Great to see you got the sympathetic hands to match the dial. Welcome to the blog. Thank you for the kind comments on the watch.